The Trayvax Element is the second most expensive of Trayvax’s wallet offerings. Although it has slightly fewer features compared to its higher-end counterpart, the Contour, it shares the Contour’s solid build quality, its compact, single-compartment design, and its unique, rugged aesthetic. Despite some minor flaws, the Element is an outstanding value for a wallet that’s built to last a lifetime. The Element is constructed with a combination of high quality leather and a heavy duty stainless steel frame. The leather is attached to the frame with paracord and two small metal fasteners, and the wallet’s contents are held in place by a thin leather strap which secures to a snap fastener. When empty, The Element weighs just 3.6oz (101 grams). With dimensions of 4.5 in (11.43cm) x 2.8 in (7.1cm) x 0.5 in (1.3cm), this wallet is flat and compact enough for either front or back pocket use. 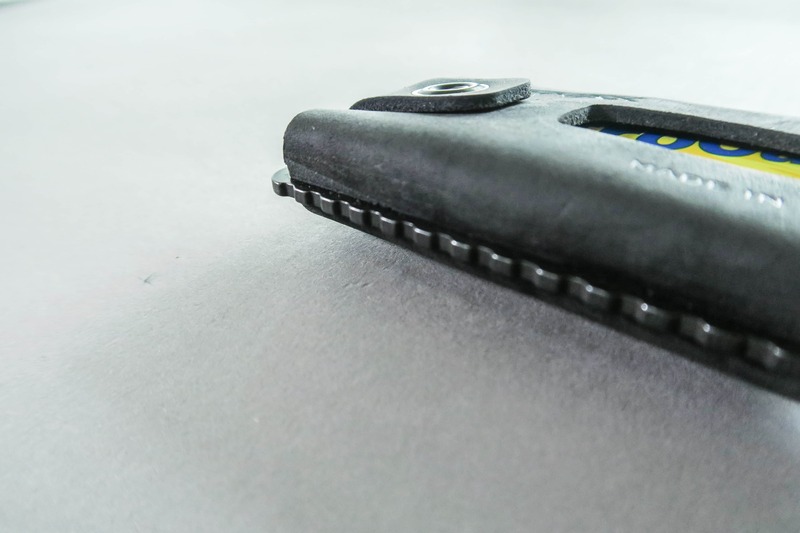 In general, the Element is much less bulky than traditional bifold wallets, making it more discreet and considerably harder for pickpockets to detect. The Element’s main compartment holds 3-10 cards and 1-5 bills, making it a great option for the traveling minimalist. Whereas the Trayvax Contour uses adjustable screws that allow for a custom compartment size, the Element’s leather conforms to hold the number of cards you choose to carry. So, once you have identified the total number of cards you plan to use, you simply insert them into the card compartment one at a time until full. There is then a temporary break in period in which the compartment will feel a little tight and the cards will be difficult to insert and remove. Trayvax does provide straightforward instructions for accelerating this process which involve soaking the leather in water. Once broken in, your cards will fit snugly inside the compartment, but will slide out smoothly when needed. Once the leather has expanded to accommodate your cards, it will have permanently stretched out. This means there’s no going back to a smaller compartment size, however, you can still remove cards as needed as long as you’re okay with having a little extra space in the compartment. The lack of a fully customizable compartment size is one minor flaw with the Element’s design compared to the Contour, which can be more precisely adjusted to hold a smaller or larger number of cards. The Element’s money clip is positioned inside the main compartment, which helps keep your cash secure and away from prying eyes. The clip can accommodate a maximum of five bills and will work with paper currency of any size. 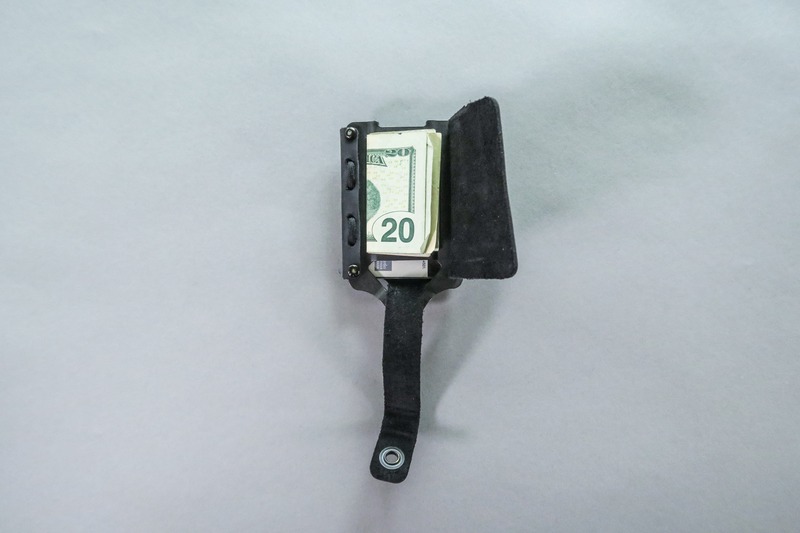 The clip’s capacity is a little small compared to traditional wallets, but five bills should be sufficient for travelers who generally won’t carry around too much cash. The metal frame on the Element has a few notable pros and cons. The bottle opener and carabiner loop definitely enhance the wallet’s utility, but may be used infrequently or not at all depending on your preferences. The frame also has pretty pronounced edges. Depending on which pocket you choose to store it in and how tight your pants are, you may sometimes find the edges of the frame digging into your leg. This certainly shouldn’t make or break your decision to go with this wallet, but it is something to be aware of if you’re sensitive to this type of issue. 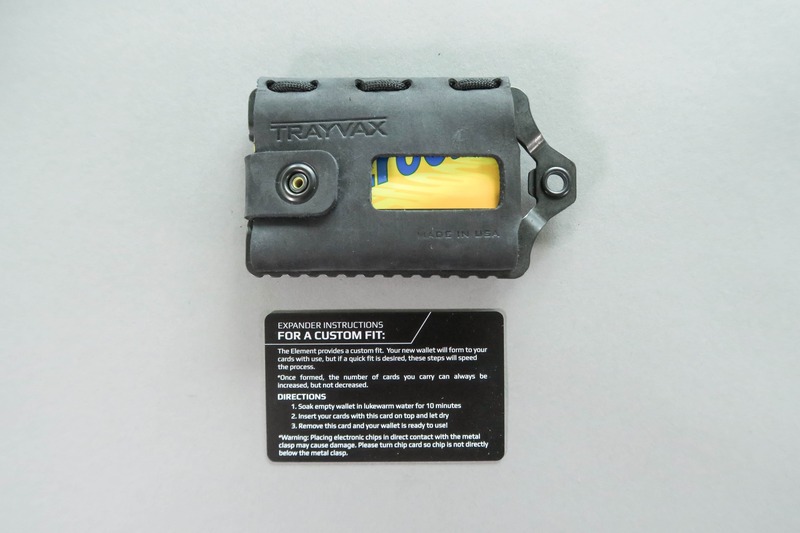 In case you missed our review of the Trayvax Contour, we feel the need to mention this again: Trayvax’s wallets are built to last an eternity. All of their products are tested for 65 years of use, and every product comes with a 65-year heirloom warranty that covers defects in materials and workmanship with normal usage. So, while they are quite a bit more expensive than your average wallet, you’re paying for a guaranteed product that you can expect to withstand a lifetime of use. It took a bit of time to get the card compartment broken in, but after a few weeks it was working great. No cosmetic issues whatsoever. Wallet is fully broken in. Some minor scratches and notches in the leather, but this is expected with real leather. The durability of this wallet continues to impress. Despite daily use, very little has changed since the three month mark. 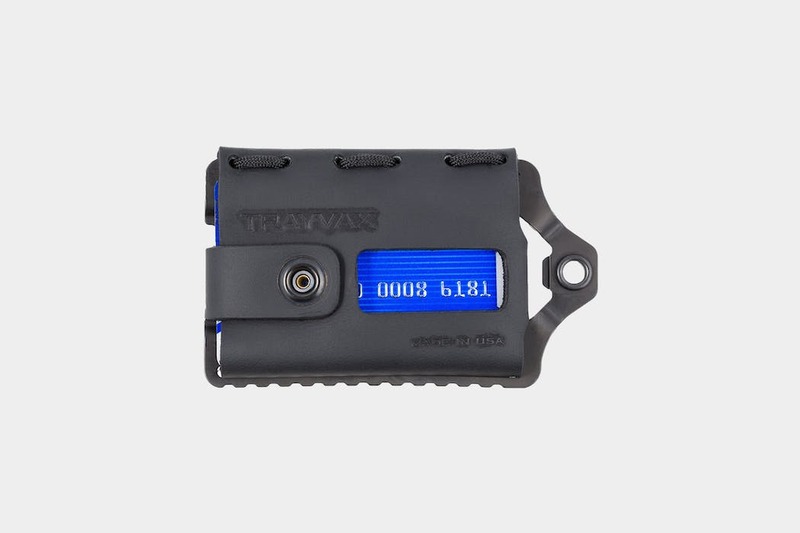 The Trayvax Element Wallet is a premium product at a fair price. Although its aesthetics will only appeal to particular users, this wallet’s durability, compact size, and functional design make it a great choice for one-bag travelers and minimalists.